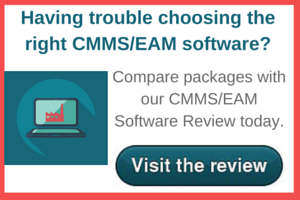 Software solutions providers now offer an array of options for both hosting and enhancing EAM tools. If there's one refrain heard at events centered on industrial manufacturing, it's that no one vendor offers every solution needed by every organization. Partnerships and interoperability, then, are what's needed to help manufacturers implement a tailored, robust enterprise asset management system. Fortunately, software solutions providers increasingly have recognized this and now offer an array of options for both hosting and enhancing EAM tools. Here's a look at several ways in which new EAM hosting options and EAM/CMMS add-ons can help you get the most out of your EAM system, from Plant Services contributing editor Sheila Kennedy. “By scheduling your preventive maintenance by usage rather than a time schedule, you can optimize the use of an asset while not running the risk of it wearing out unexpectedly." So notes Andrew Waycott, COO and CTO at Factora, whose manufacturing execution system (MES) links with EAM/CMMS software to communicate actual use of given assets. This allows for data-based, proactive maintenance decision-making, Waycott notes. The same goes for PdM. An EAM add-on developed by Perficient in partnership with IBM collects data not just from the EAM system but also financial, MES, and building management systems to help predict the likelihood of asset failure. It then automates tasks such as work-order creation and the sending of alerts and recommendations. When they arrived on the scene, SaaS hosting models promised companies savings on upfront EAM software investments and IT costs, thanks to a subscription model of payment. But with most SaaS applications, several EAM customers share the same software, and the applications aren't housed on separate virtual servers. This is of special concern to security-intensive organizations. Plus, SaaS options may not offer the tailored-to-your-needs flexibility that larger companies seek. But with the IaaS model, the cloud infrastructure is hosted and managed, while the applications on it are self-managed. IFS, IBM, and Oracle, among others, offer IaaS deployment options to their EAM customers. "It gives you more flexibility with regard to the software supported, integrations, and customizations, and it puts you in control of when you patch and upgrade," says Rick Veague, CTO, IFS North America. The IaaS/SaaS model goes a step farther, with infrastructure and applications hosted and operated as a fully managed cloud service. Besides offering 24/7 data access from anywhere, thanks to the cloud approach, this combined solution offers the appeal of on-demand scalability. Managing costs for MRO materials and spare parts can be a challenge. But when EAM transactional data is filtered through economic and risk analysis models, businesses can get a better sense of how to optimize their inventory, notes Cameron Singe, product manager for MRO solutions provider Oniqua. The collaboration among top names in the enterprise asset management field, as well as niche solution providers, promises unprecedented options for companies in the industrial production space for elevating their asset management strategy. Sheila Kennedy asks: Does your plant's tech reflect the “new normal”?